Feel at home with Jaeger's Munich and enjoy one of the most beautiful cities in Germany! We provide quality accommodation for backpackers, small and large groups as well as the budget-minded business traveller. 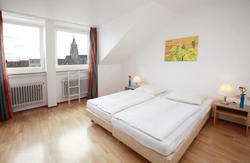 Enjoy our dorms and single/double rooms (with Sky channels in German and international TV channels). 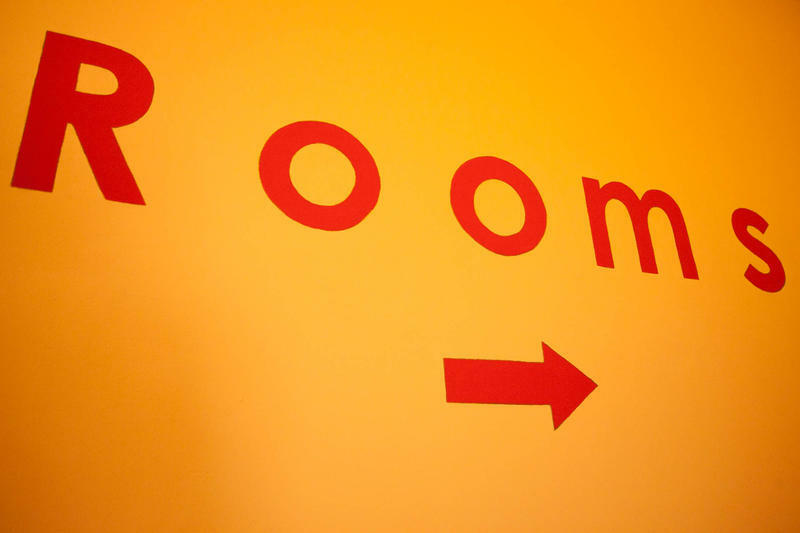 All rooms are equipped with private bathrooms, individual lockers (bring padlock) and air conditioning. Our single and double rooms are equipped with one queen-size or two single beds, private bathroom, cable TV, air conditioning and Wi-Fi. If you feel more comfortable staying in a female or male dorm, please let us know. We do everything possible to accommodate you according to your wishes. Please note that the dorms with 14 or more beds are actually 40-bed dorms; the room is divided into four 10-bed sections but it can sometimes be noisy or untidy. Please let us know if we can help you out with any inconveniences! Bed linen is included. Towels are included in the single and double rooms and are also available to rent for €1 per day. It’s free to use our lockers but please bring your own 40mm padlock; you can also rent on for €1 per day. Located right in the city (near central station), our friendly staff gladly give you all insider tips to enjoy Munich at its best. For example, try our new Hard Rock Cafe Classics (from noon to 6pm) exclusively for Jaeger's guests, or visit some traditional bars and cafés after having a chat to our friendly bar keepers at Jaeger's Bar - just ask us. Our cosy bar has Happy Hour, Sky Sport TV and even its own lottery – you could win €50 every week! This is the perfect starting point for your adventure. Lots of museums, nightspots, pedestrian zones and the Oktoberfest are only 10 minutes’ walk away. All sites that are not in walking distance can be reached comfortably and fast by public transport. Our delicious hot-and-cold all-you-can-eat breakfast buffet is only €4.98. We also have Internet terminals (€1 for 20 minutes) and a telephone fax service (charge) as well as vending machines with snacks and drinks. There’s free Wi-Fi throughout the entire hostel and at our travel info point we provide free city maps and free city tours in English and Spanish. Reception is open 24hrs so there’s no curfew. We also have a common room. Our location means we’re within 50 meters of Munich's main train station and most sights are within walking distance. For instance, it’s only 15 minutes to world's famous 'Hofbrauhaus. A 10-minute walk will get you to the grounds where the famous Oktoberfest takes place every year. Only five minutes away is a lovely shopping district where you can buy everything from cuckoo clocks to going-out dresses. 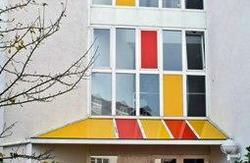 We’re also only a stone's throw away from Munich's largest party area, Kultfabrik and Optimolwerke. Our brand new football stadium, Allianz Arena, is just 10 minutes from here with the U-Bahn, if you want to see a football/soccer match in Munich. Whether it's just a weekend getaway, group vacation, a stag night or a business trip, we offer you the best option and we are excited to welcome you soon! Please note that we have a strict age restriction in our dormitories. Guests must be between the ages of 18 and 35 in order to stay in the shared dorms. If you are a group and you book the entire dorm for yourselves there is no age limit. Take the south exit (Ausgang Bayerstrasse). Then cross the street and go left. The next street right will be Senefelderstrasse, we are at number 3 on the left-hand side. There are two suburban trains from the Munich Airport: S1 or S8. Both of these will bring you directly to us. The ride takes about 40 minutes. Get off the train at Hauptbahnhof and follow the instructions above. If you arrive in Munich by bus you will most likely find yourself at ZOB. From here you catch any suburban train (S-Bahn) going in the direction of Hauptbahnhof (central station) and follow the instructions as above. We have a special cooperation with Deutsche Bahn so Jaeger's guests can stay for a discount price at the parking garage called Bahnhof Sud right on the opposite side of the road. The regular prices are €10 per 24 hours but if you need the recent prices please give us a ring (e. g. during bigger trade fairs or Oktoberfest the prices are higher). Moreover we can't make reservations there so it is first-come-first-serve - usually there are heaps of free spots unless during the above-mentioned special dates.